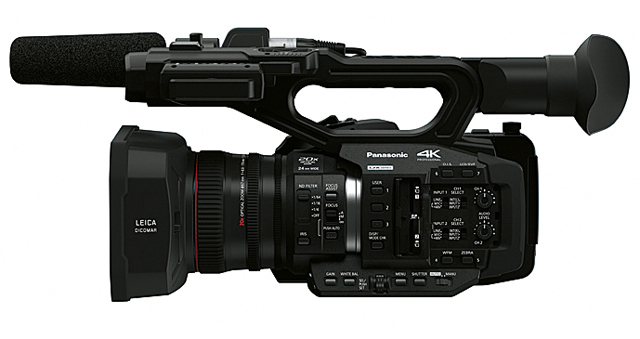 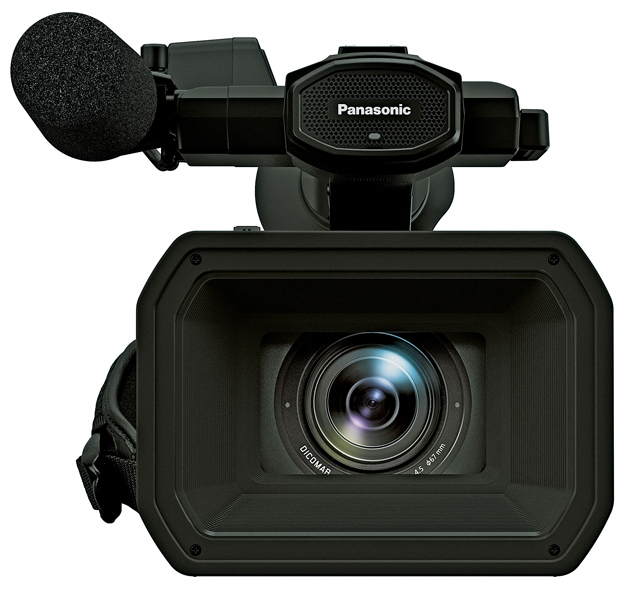 The AG-UX180 supports 4K 24p, UHD 60p/50p, FHD 60p/50p multi-format recording and HD super slow-motion. 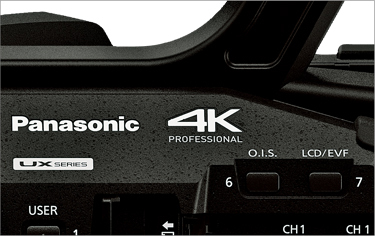 Two SD memory card slots*4 are provided to enable relay/simultaneous/ backup recording for enhanced reliability, and also support UHD/FHD*5 dual codec recording for a more efficient workflow. 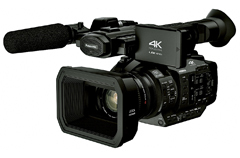 The controls of the AG-UX180, such as the manual three rings and user button, as well as interfaces, such as 3G-SDI/HDMI and XLR input, are engineered to meet the needs of professional video recording. 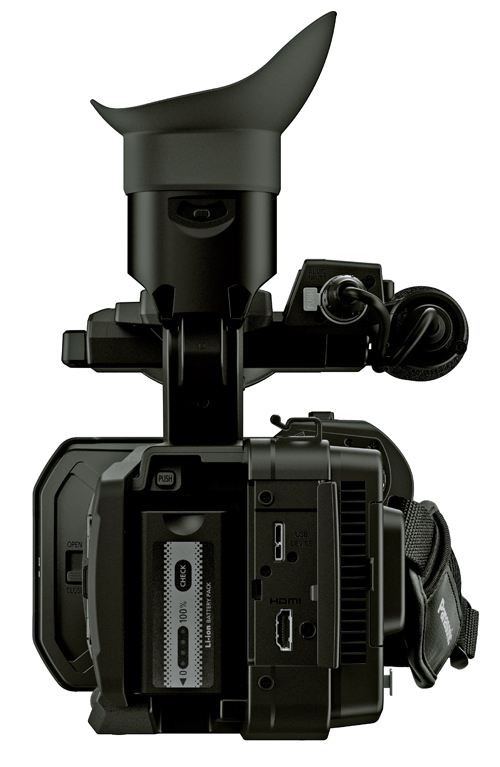 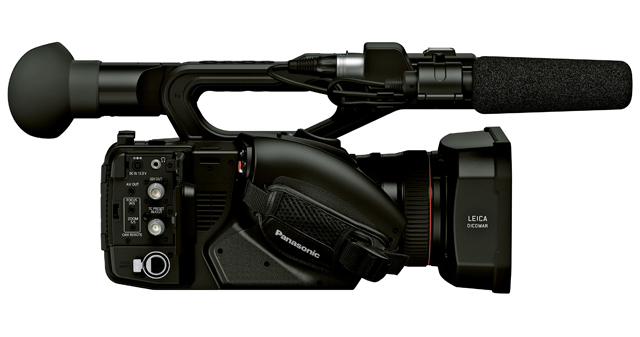 Offering the same level of agility and mobility as the conventional HD handheld camcorder, the AG-UX180 provides powerful support for high-image-quality 4K video production. 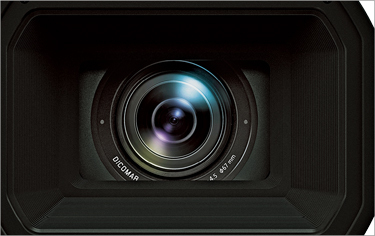 *5: For information of available codecs, please see "UHD/FHD Dual Codec Recording". 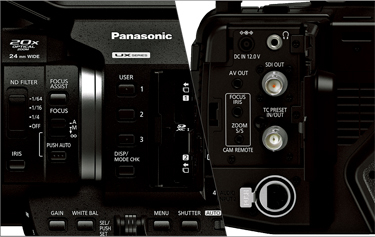 * With regard to "24p" and "60p" other than that included in "4K 24p" in the above text, images are actually recorded at 23.98p and 59.94p, respectively.